I love being a safety professional. As a safety professional you get to learn about all sorts of different topics, from psychology to physics to engineering to law. There’s always new things to explore, new challenges to overcome. Plus, I get to do good things by helping people not get hurt. Of course, as my high school economics teacher taught me, there’s no such thing as a free lunch. One of the downsides of being a safety professional is that everyone thinks that you’re naturally the safest person with some sort of unique SafetyDNATM. And, oh boy, are they excited when they can point out to you when you’re doing something unsafe. But hey, I’m good at what I do, so I’m pretty safe overall. At least safer than the average person, I like to say. But, I also know enough about safety to know that this line of thinking sort of misses the point. Incidents and injuries don’t usually happen because of things we were prepared for. They happen because of our blind spots. And everyone has those blind spots. Everyone! Research in psychology consistently shows that everyone has aspects of their personality and cognition that may cause them to make that subtle mistake or miss that important detail that leads to unfortunate near misses and injuries. Take me for instance. Anyone who knows me well, and anyone who’s taken any of my trainings, knows that I very likely have a case of undiagnosed Attention Deficit Disorder. Overall I’m pretty functional especially when I get into a good flow. But one distraction and often I’m bouncing all over the place. Sure enough, when I took the SafetyDNA test, it turns out I’m a Professor – someone who’s pretty good in the areas of staying in control, following rules, and being cautious…but I’m pretty poor when it comes to my awareness of surroundings, and especially the area related to staying focused over time. You can only imagine the pain I felt when I received my results – I’m a safety professional! How can they say that I have a chink in my safety armor? But that’s not the point. The point is that, whether I like it or not, my awareness blind spot exists. So if I truly want to be safer the best thing I can do is admit it and compensate for it; especially when I am working in high exposure areas. For example, just powering off my cell phone when driving is one simple example. Or having someone double check that I’ve properly completed a confined space permit before authorizing entry. Better understanding of the psychological factors and especially the blind spots that impact our personal safety provides a breakthrough in workplace safety. As I like to say, “Knowing that I have a blind spot doesn’t make me unsafe. Rather, not admitting I have a blind spot and not doing what is necessary to reduce the risk from the blind spot would be unsafe.” Blind spots just mean we’re human; e.g. not perfect. Mine is simply that I lack awareness at times. Now that I know this about myself, I am taking steps to compensate for it. And you know, I really am safer now than before. 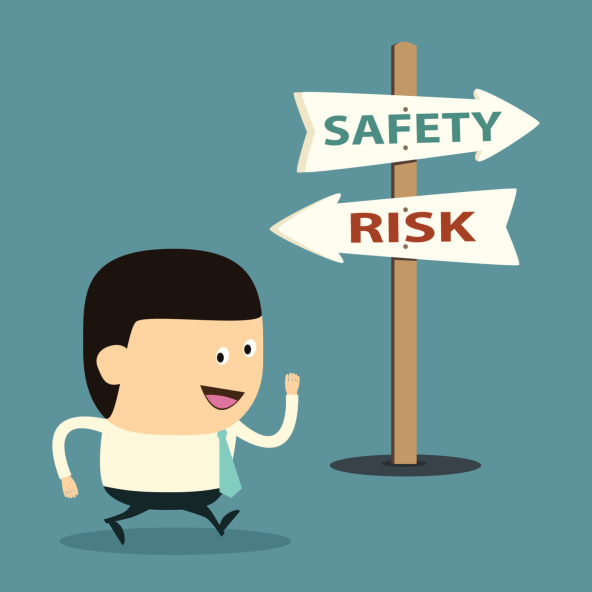 And isn’t that ultimately the most important thing for all of us – improving our personal safety through awareness of the factors that impact our safety?